Considering it didn’t stir up much of a reaction when it was released this spring, Quentin Dupieux‘s surreal, hilarious Wrong remains one of the more overlooked titles of the year, and before 2013 closes out, we’re getting another film from the director. This January, Sundance Film Festival saw a preview of Wrong Cops and late next month, IFC Films will release the full feature. Bringing together Marilyn Manson (as a teenager), Eric Wareheim and the best element of Eastbound & Down, Steve Little, it looks to be another dose of deranged comedy from the director. The main storyline of the project follows a bored cop (Mark Burnham) who sells drugs and harasses a teenager to pass the time, while other police officers participate in unhinged activities, as one can see in the first trailer and poster. Check out both below for the film also starring Twin Peaks‘ Ray Wise and The League‘s Jon Lajoie. 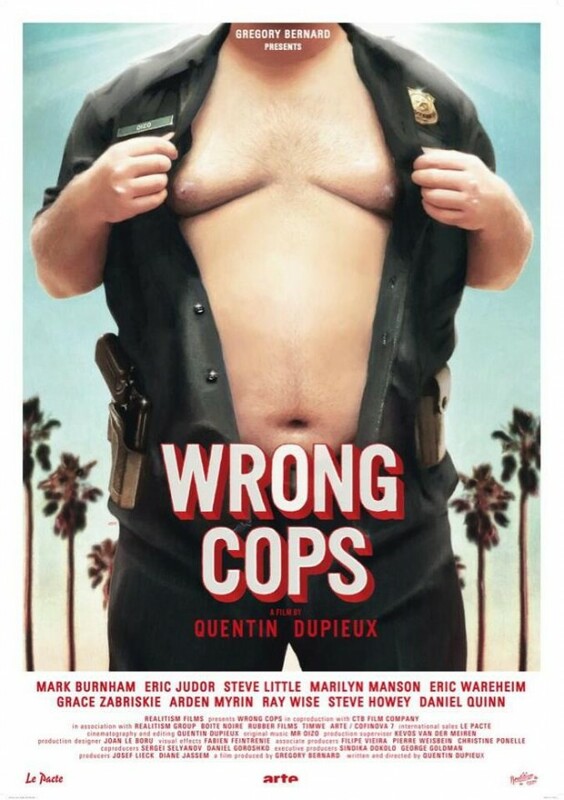 Wrong Cops hits VOD and theaters on December 20th. We report from the U.S. premiere of their new film and the first time they've played their new album in its entirety. We are joined by Lawrence Garcia to discuss Claire Denis's peculiar space drama.